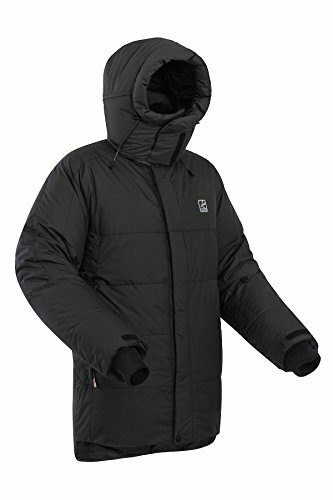 Men's down jacket designed for extreme cold conditions. Jacket parka goose down high quality (F. P. 850+). Insertion of synthetic insulation in the shoulders and elbows. Outer fabric c membrane protects from wind and snow. Low weight and high insulating properties. Puff developed in accordance with the wishes of experienced climbers. Main purpose: high-altitude mountaineering, winter climbing. Warm removable and adjustable hood that is worn on top of helmets. Insertion of synthetic insulation in the shoulders and elbows. The Outdoor-Equip store officially represents the well-known Russian brands Moscompass, Splav, Bask, Sivera in the international market for retail customers. The shop Outdoor-Equip guarantees the authenticity of goods and high quality. We deliver to any city in the world directly from Moscow. Please contact us and we'll be happy to assist you! If you have any questions about this product by Bask, contact us by completing and submitting the form below. If you are looking for a specif part number, please include it with your message.